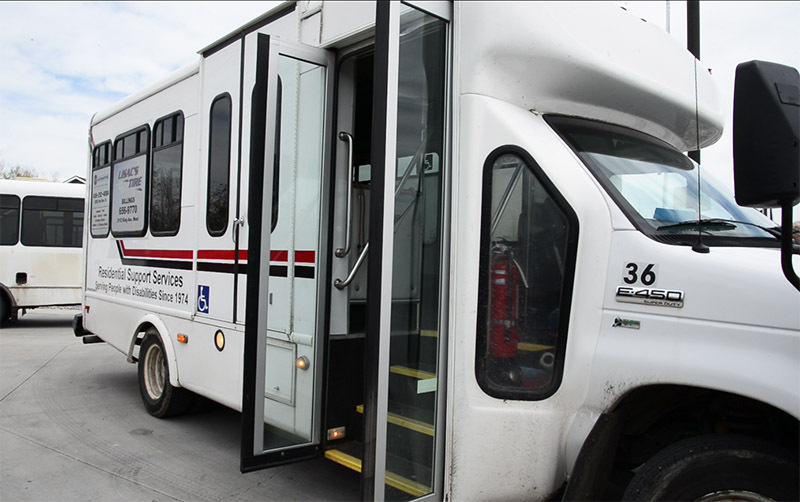 Many people may be unaware that Medicaid actually covers emergency medical transportation for certain eligible individuals. In the past, some people have avoided calling for emergency transportation for immediate medical problems because they were afraid of the cost. This can result in even worse medical problems down the line, or even death. An emergency is simply when your medical needs are immediate. Examples may include having a heart attack or stroke, or when you have been in an automobile accident. The transportation might include an ambulance ride and it may entail a medical flight in the air be helicopter or airplane. You do not have to be preapproved to get emergency transportation. Another fact that even more people are unaware of is that you may be entitled to get a ride to a medical appointment as well. Even though it is not considered an emergency, certain people may qualify for Medicaid approved non-emergency transportation. overage varies from state to state and is largely dependent upon each individual’s needs, but you may qualify if you have a vehicle that does not work, or if you don’t have a driver’s license. A mental disability also often qualifies you for this benefit as well. So who exactly qualifies for a ride? Well, federal regulations state that that Medicaid beneficiaries can get a ride to, as well as from, a medical appointment when necessary. While this may seem a bit ambiguous, it is up to the state that you live in to decide when a ride is necessary. Determine if you have a need for immediate care. Make sure that you are eligible for Medicaid. Make sure that you have a valid appointment with a Medicaid provider. Determine that you have no reasonable alternative way to get a ride to your appointment. Determine what type of ride Medicaid will provide for you to get to and from your appointments. Based upon the information you provide, you will be given instructions either on how to set up a ride for yourself, or your contact will set up a ride for you. Persons or services that provide rides are generally approved by the state that you reside in. Depending on what your needs are and the rules and regulations of your state, your ride may be by taxi, bus, van, car, or subway. You might also have to share the ride with other people and if you have to cancel an appointment you should make sure and do so as far in advance as possible. Keep in mind that the driver can only give you or an eligible family member a ride to a medical office and then back home. If the driver provides a ride to any other destination, he or she could be charged with defrauding Medicaid. Be sure and follow the instructions and rules that you have been given in advance of your ride. Keep in mind that drivers are probably only authorized to pick up specific riders at specific times. You should always be on time for your pickup and again, make sure and cancel a scheduled ride if you find that you do not need it any more. If you don’t show up for your ride or fail to cancel on a frequent basis, Medicaid may place restrictions on your ability to get a ride. If your ride does not show up on time, don’t panic. Remember that these rides are provided by people and human error sometimes enters into the equation. Stay calm and call the number that you used to set up your ride and explain the problem. The ride service should help you, but regardless, you should also call your medical provider and explain the situation to them as well. If your driver takes a person to a non-medical location or a place other than the person’s home. If your driver uses a route that adds additional time and mileage to the trip. If you are given a ride in an ambulance when it was not necessary and a ride in a van or car would have worked. If you see a person sharing his Medicaid benefits with someone who doesn’t qualify such as a friend or family member. You can always report Medicaid fraud anonymously, but it is a good idea to give an investigator your phone number or at least an email address, just in case they need to contact you for additional information. Keep in mind that your identity is protected to the maximum extent provided by law. You can report fraud to your State Medicaid Fraud Control Unit or State Medicaid agency. Contact information is available at: https://www.cms.gov/medicare-medicaid-coordination/fraudprevention/fraudabuseforconsumers/report_fraud_and_suspectd_fraud.html on the Centers for Medicare & Medicaid Services (CMS) website, or contact the U.S. Department of Health and Human Services, Office of Inspector General. Learn more about our transportation services, day programs for adults with disabilities, or for further general information, give us a call today at (406) 248-4211!